The Claudia dresser is not only beautiful to the eye, but extremely functional, with plenty of space to store your clothing and other belongings. It is elegantly simple, which brings out the masculinity of its design, or it can be dressed up, with your own personal touches, to be feminine; whichever style suits your needs. The Claudia Dresser by Vintage at Great American Home Store in the Memphis, TN, Southaven, MS area. Product availability may vary. Contact us for the most current availability on this product. The Claudia Bedroom Collection, by Vintage Furniture, is Grand in stature and style. Each piece is delicately crafted and finished with a dark, rich brown hue that will compliment any bedroom. 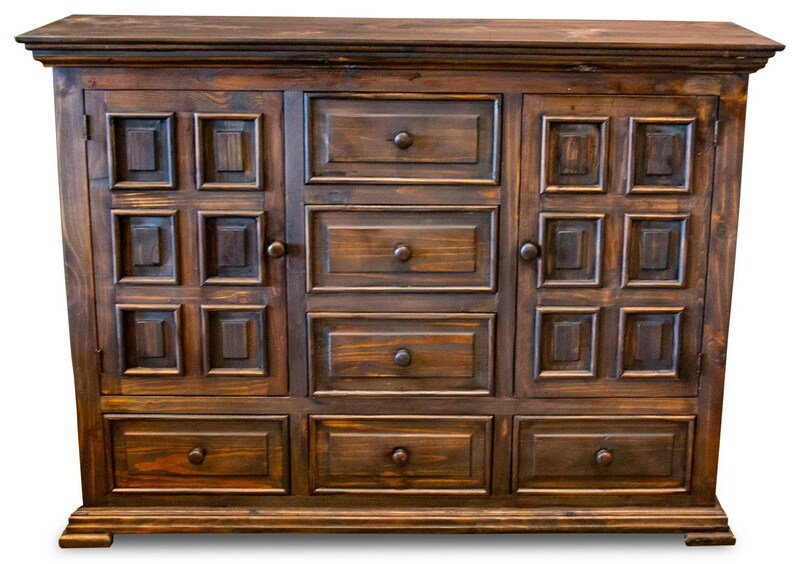 The Claudia collection is a great option if you are looking for Rustic Transitional furniture in the Memphis, TN, Southaven, MS area. Browse other items in the Claudia collection from Great American Home Store in the Memphis, TN, Southaven, MS area.